The Our Lady Star of the Sea Council of Catholic Women is a group dedicated to the unification of all women of the parish in religious, educational, social, and service activities for the glory of God. 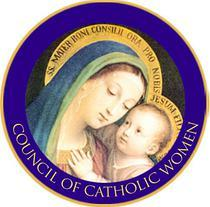 The CCW assists in many events for the welfare of the parish. Through various events and fundraisers such as the Fall Bazaar, Santa’s Auction, Spring Fashion Show, and the Taste of the Parish throughout the year, the CCW is able to carry on the tradition of reaching out to many people in need of a helping hand. Membership is open to all women of the parish who are committed to putting God’s words into action through involvement and participation.